Имея в виду не писаное правило, что каждый лакомый кусочек нужно залить подходящей капелькой вина, мы постарались предложить вина высокого уровня, принимая во внимание, чтобы ассортимент продукции включал вина разных ценовых категорий на любой вкус. К каждому блюду нашей кухни вы можете попробовать некоторые из черногорских красных и белых вин, среди которых следует отметить домашнее вино, изготовленное в в наших погребах. с непреодолимым внутренним реального в его собственном подвале. Принимая во внимание широкий диапазона наших гостей, мы стараемся постоянно расширять ассортимент вин, и, кроме черногорских вин, в любой момент можем предложить и знаменитые хорватские белые и красные вина, вина из Македонии и Герцеговины, и конечно же, разборчивым гостям можем предложить вина знаменитых итальянских, немецких и французских виноделен, что в общей сложности составляет впечатляющий ассортимент из более чем 60 видов вина в постоянном предложении. Crnogorski Vranac is a powerful, strong wine from the south, made from an autochthonous grapevine variety Vranac which has been cultivated for centuries in Crnmnica, the area stretching from Skadar Lake towards the Adriatic Sea at 500 metres above sea level. 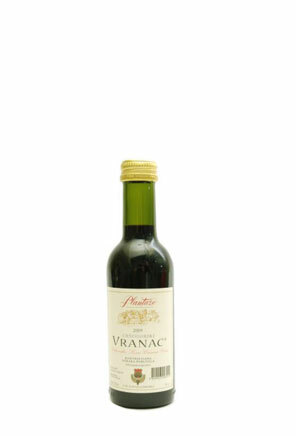 Nowadays, Vranac is the leading variety in Podgorica's wine growing area, achieving premium quality with very harmonious ratio of sugar and acids. Vineyards raised on the shallow, skeletal soils, exposed to over 2500 hours of sunshine annually, give the premium quality of grapes which are turned into the premium wine by applying modern technology. The wine has a dark ruby colour, and its flavour and aroma resemble mature sour cherries and forest fruit with vanilla tones, leaving the lingering taste of plenitude and warmth. Its pleasant astringent flavour is a result of aging and maturity. 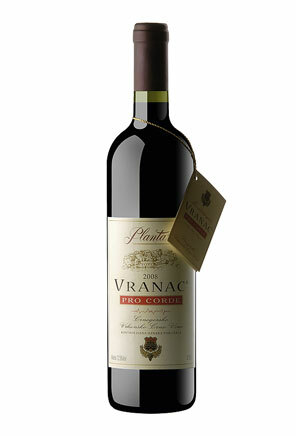 Vranac Pro Corde is a premium, dry wine of controlled origin. It is made by applying unique technological production process by which it is naturally enriched with additional contents of proanthocyanidins and tannins, as natural ingredients of grapes which have the power to bind free radicals, having beneficial effect on human body. Montenegrin Cabernet is a premium red wine which preserves the best characteristics of Cabernet variety and complementary variety Vranac. Dark red in colour and rich in extract, it has complex and pleasant aroma reminiscent of violet, and luxurious and harmonious flavour. Soft tannins enriching the wine give it the feeling of plenitude and complete its pleasant flavour of blackberry and black currant, accompanied with vanilla tone. It is served at 16-18°C. It is recommended with red, not so fatty meat, fatty fresh-water fish, white meat, and mild cheese. 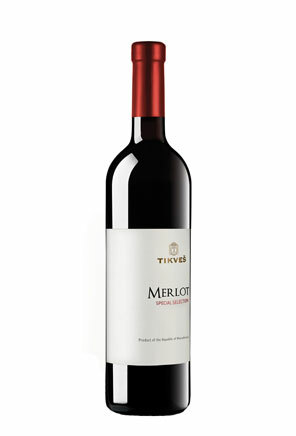 Crnogorski Merlot is a premium red wine of controlled origin and quality. 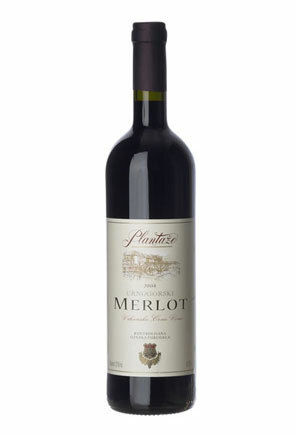 It preserves the best characteristics of Merlot variety and complementary variety Vranac from the locality of Cemovsko polje. The wine has a dark ruby colour, harmonious bouquet and plenitude, what makes it a typical famous wine of Montenegrin wine growing region. Famous French variety has preserved its best characteristics in Podgorica’s wine growing region, but has also acquired elegance and delicacy resulting from sunshine, rock and grapevine in the area where Mediterranean and continental climate collide. It is served at 16-18°C. It is recommended with all white and red meat dishes which are not too spicy, as well as with the poppy seed and walnut pastries. 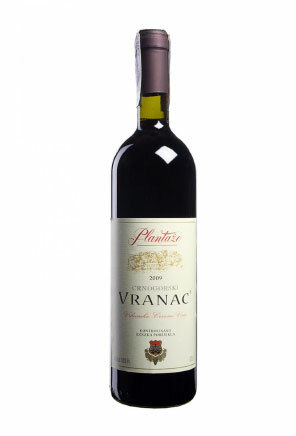 Vranac Reserve is the wine selected from the best vintages, preserved in tanks and bottles for 3-5 years. By further aging, it develops its full, subtle bouquet. It is wine with well-balanced fruit character, reaching maturity by aging in a wine cellar, developing the aroma reminiscent of dry fig, plum, chocolate and ground coffee tones. It can surely be classified as a great, mature and powerful wine. Vranac Reserve always asks for the best dishes. If the “salty dessert” consists of several types of cheese, it will perfectly match Vranac Reserve, and it is ideal with noble semi-hard cheese of the intense aroma and those with noble mould. 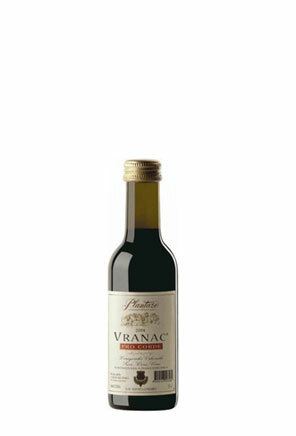 Archive Vranac is served at 18-20°C, after being decanted and aerated for 20-30 minutes before serving. The 2007 vintage wine made from the grapes from the best parcels at Cemovsko polje, harvested in the period of full, technological maturity with the best polyphenol complex and high content of sugar. After the fermentation, performed in the stainless steel containers by applying modern technological treatments, the wine was transferred into the new barriques (80% French oak, 20% American oak) where it was stored for a year in specially controlled conditions. Afterwards, the wine was transferred into the stainless steel containers where it was stored for another 78 months, and bottled. The wine has preserved varietal aromas, a distinctive scent of tiny, red blueberry fruit and mature sour cherry, with a mild vanilla tone in the background. Being stored in the oak barrel, it became enriched with nice, sweet tannins, complete, full, soft and long lasting. 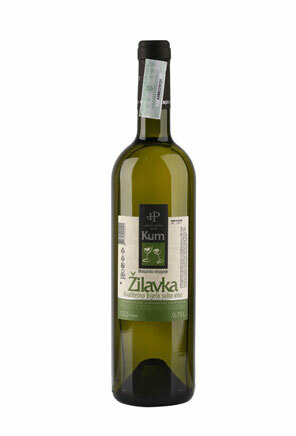 The combination of Vranac and oak is a perfect harmony of scent and flavour. It is served at 18-20°C. It is recommended with red meat dishes, spicy and fatty, game meat dishes, smoked ham and fatty cheese. Стараясь доставить нашим гостям несравненное удовольствие, имеем честь, представить домашнее вино, изготовленное в собственном винном погребке из высших сортов винограда – черногорского вранца и картошии. Crnogorski Vranac is a powerful, strong wine from the south, made from an autochthonous grapevine variety Vranac which has been cultivated for centuries in Crnmnica, the area stretching from Skadar Lake towards the Adriatic Sea at 500 metres above sea level. 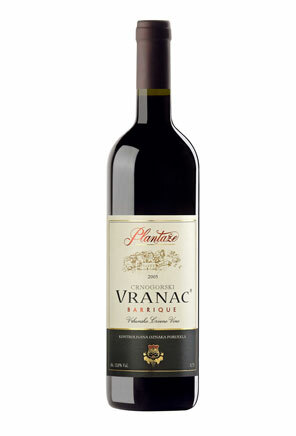 Nowadays, Vranac is the leading variety in Podgorica's wine growing region, achieving premium quality with very harmonious ratio of sugar and acids. Vineyards raised on the shallow, skeletal soils, exposed to over 2500 hours of sunshine annually, give the premium quality of grapes which are turned into the premium wine by applying modern technology. 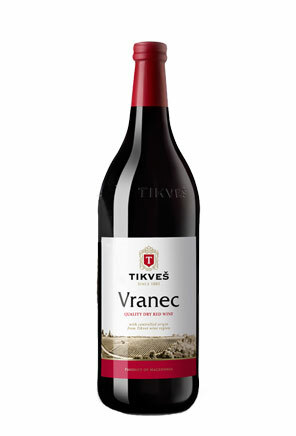 The wine has a dark ruby colour, and its flavour and aroma resemble mature sour cherries and forest fruit with vanilla tones, leaving the lingering taste of plenitude and warmth. 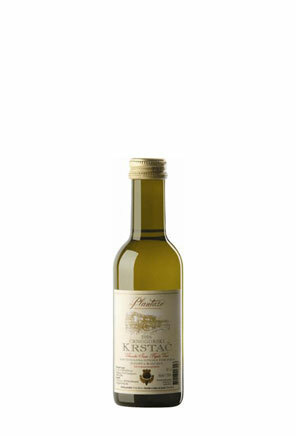 Its pleasant astringent flavour is a result of aging and maturity. Chardonnay barrique - as a variety, Chardonnay is well-known for matching with the oak better than any other white wine, naturally, in case the tendance in the barrique is managed carefully and skilfully. The Plantaze oenologists have managed to keep the features of Chardonnay, vintage 2006, save its identity and refine the wine with the finest oak notes. Fruit, vanilla and alcohol are perfectly balanced, and wine is easy drinking with the expressed depth and particularity of the region from which it originates. Chardonnay has been tended by the soft use of barrique, acquiring the diploma recognized all over the world. 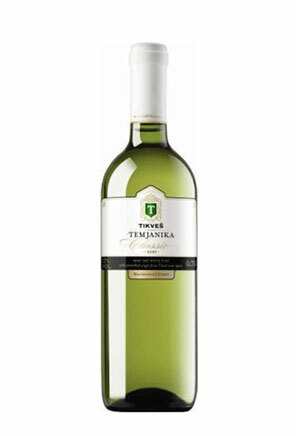 Chardonnay is a high quality dry white wine of controlled geographic origin from Tikves vineyards. It is characterized by golden-yellow colour and aroma of tropical fruit. It is served at 12 do 18º C and pairs well with fish, sea food and chicken. Crnogorski Sauvignon is a premium dry white wine made from French variety Sauvignon. The grapes are harvested at the locality of Cemovsko polje, while the wine is made in accordance with the latest requirements of modern technology. The wine is straw yellow in colour with shades of green. Its bouquet and flavour are reminiscent of green pepper, elder flowers and black radish. With well-balanced content of alcohol, acidity and extract, the wine stands out for its quality and fullness. Sauvignon is a variety that has proven to be outstanding in agro-ecological region of Cemovsko polje, Podgorica wine growing area in Montenegro. On the pebbly soil on Skadar Lake coast, near the small town Tuzi, this variety gives superior quality. It is served at 10-12°C. It is recommended with shrimp, crab and lobster, juicy fish dishes, risotto with aromatic herbs, as well as with chicken prepared in spicy sauces. 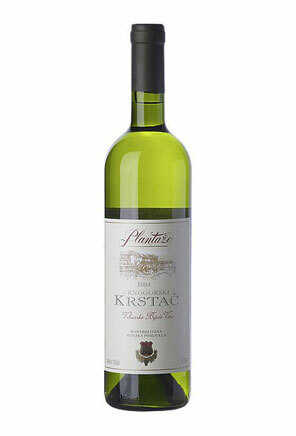 Crnogorski Krstac is a national, premium, dry, white wine, made of the autochthonous grape variety “Krstac”. This variety has been grown since ancient times in the vineyards of Podgorica’s wine growing region. It is specific for the berry size and shape of the cluster which resembles the cross, what is where its name comes from (“krst” is Montenegrin word for “cross”). It is grown on Cemovsko polje, on the micro-locality Nikolj Crkva, and all efforts to transfer it to another area have failed. The wine is in between Mediterranean and continental type, of light gold colour with greenish reflection and nicely expressed fruity aroma of peach and pear. It has a light structure what makes it easy drinking and gives it a fresh flavour. It is served at 10-12°C. It is recommended with all fish appetizers, light soups, fish and eggs based dishes, as well as with white, less spicy meat. Well cooled may be served as an aperitif. On the rocky soil of micro-locality “Miljes”, next to the river, or better to say losing river, Cijevna running from nearby Albanian mountains, this old French variety has found all that it likes: limestone, poor, rocky, permeable and warm soil. It gives wine of light straw yellow colour. 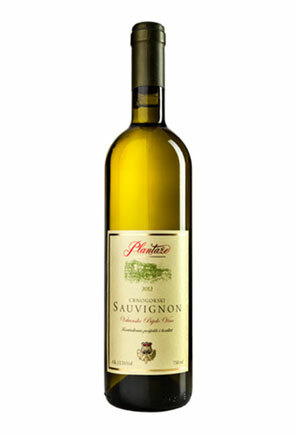 Its bouquet is typical and recognizable by fresh, fruity aromas of pineapple and green apple. Tasting the wine, some may recognize half-ripe apple, the others walnut. Podgorica’s Chardonnay, as the child of the South, belongs to the type of full bodied wines, dry, with structure and considerable alcohol content. 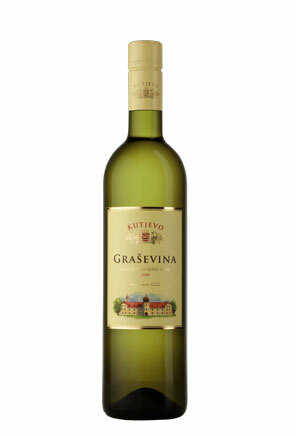 The wine has greenish colour, balanced flavour, nice aftertaste without bitterness and astringency. The grapes are vinified by using the process for white wines, while the use of selected yeasts and low fermentation temperature (14-17°C) makes the flavour and aroma of this wine remain the same. It is served at 8-10°C. It is recommended with all fish appetizers, seafood, risotto and piquant soups. 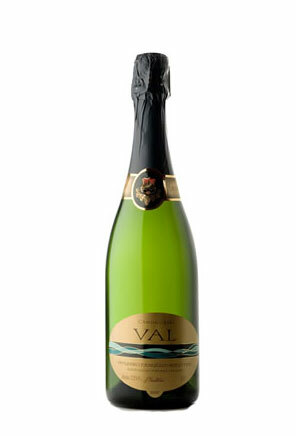 Crnogorski Val is a premium, sparkling white wine, made by using the classic method of subsequent bottle fermentation. 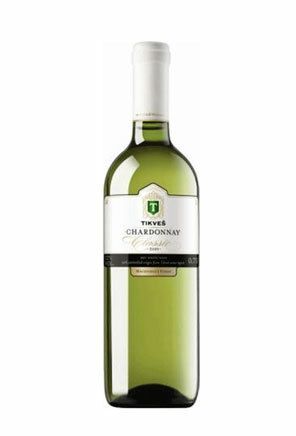 It is well-balanced, with harmonious flavour and discretely rounded aroma that comes from the autochthonous white grape vine varieties, very fresh and easy drinking. Montenegrin Val is produced in two categories: extra-dry and semi-dry sparkling wine. It is served at 6-8 ° C. Extra-dry wine is recommended as an aperitif due to the low content of residual sugar, while the semi-dry wine is recommended at the end of the meal, with a dessert or hard cheese. For decades now this timeless classic has been Germany’s best known sparkling wine brand and enjoys an excellent reputation worldwide. High quality standards and a consistent brand/price policy together with intensive advertising support within the sparkling wine market have justified and consolidated this special position. Henkell Trocken combines sparkling wine competence, elegance, class, unconventionality, activity and dynamics like no other in an independent and inimitable way, making it the ideal sparkling wine for casual but stylish celebrations. 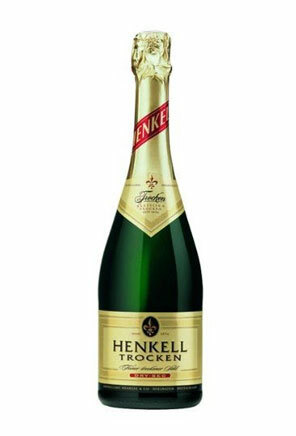 Henkell Trocken is a classic dry, fully matured, elegant sparkling wine with distinctive character and a gentle flowery, vinous bouquet. 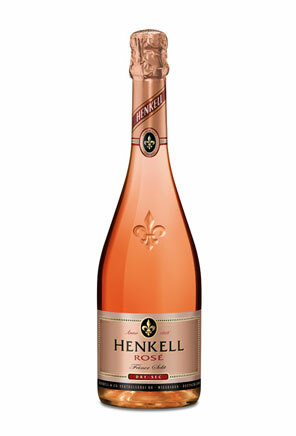 Only the finest quality wines from the best wine-growing regions of France are used for the production of Henkell Rosé. 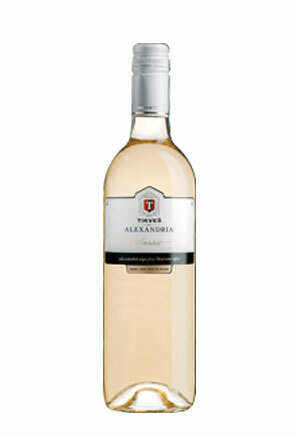 Its delicate colour and fruity-fresh taste have won wine-lovers’ hearts. And with its elegantly dry character, the Rosé has remained loyal to the rest of its family tree. 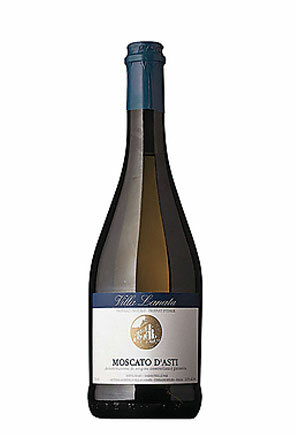 Jedno od najpoznatijih italijanskih vina Moscato d'Asti pravi se od sorte moscato na vinogradima u blizini grada Asti. Polu-slatko, desertno vino sa niskim procentom alkohola, odlikuje se elegantnim cvetnim aromama i mirisnim notama breskve, kajsije i svežeg grožđa. Servira se na temperaturi od 8°C, uz voće i dezerte. Kvalitetno suvo crveno vino, proizvedeno od istoimene sicilijanske sorte grožđa. Granit crvene boje, veoma intezivnog i elegantnog mirisa, harmoničnog ukusa koji ispunjava cijela usta sa dugom završnicom. Idealno vino za glavna jela, crvena mesa i divljač. 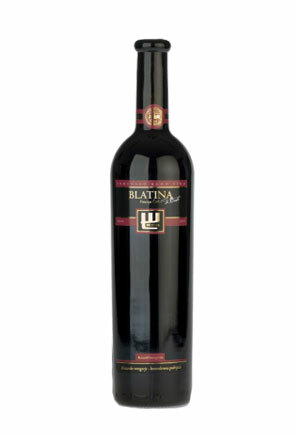 Blatina is the wine made from autochthonous Blatina variety cultivated in Herzegovina for years. 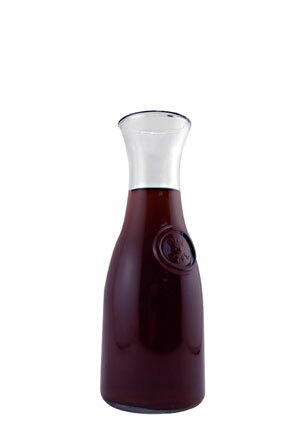 It is a premium dry red wine of dark and compact, lively and shiny ruby colour. 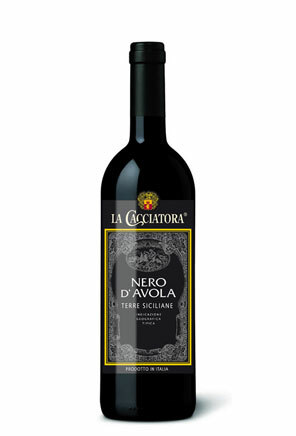 The wine has noble, well developed, typical, warm and deep aroma, and fruity and spicy character. In the background, in addition to decently expressed tones of dried tobacco, aromas of dried plums, grapes, dried figs and marmalade of dark berry fruit can be distinguished, with traces of vanilla, carob, roasted almonds and chocolate. It is drunk slowly and pure at 18°C. It goes well with spit-roasted lamb, roasted veal, beef steak, game meat dishes, grilled and fried fish, smoked ham, smoked beef and cheese. Vrhunsko bijelo suvo vino koje se proizvodi od grožđa autohtone sorte Žilavka i do 15 odsto pratećih autohtonih sorata Krkošije i Bene s probranih položaja vlastitih vinograda. Tamnije slamnatožute boje u podlozi zelenkasto, kristalno bistro, gusto. Miris obiluje cvjetnim aromama poput livadskog cvijeća i ruža, a posjeduje i primjese trava, citrusa i aromatičnog bilja. Ukus je kombinacija snage, svježine, aromatičnosti. Može se piti prije, za vrijeme i poslije jela, ohlađeno na temperaturi od 10 do 12º C. Ide uz sva jela od bijelog mesa, ribom, školjkama i rakovima, a jagnjetina bez Žilavke u Hercegovini je nezamisliva. 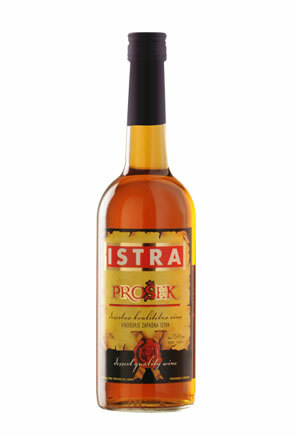 Prosek is a Dalmatian dessert wine made from overripe grapes of the highest quality by applying traditional methods. In a special aging process, the wine takes on a unique colour and a specific bouquet, and has the flavour of raisins and apricots. It is served as an aperitif, at 8°C, usually at the end of the meal, with a dessert or dried fruit. 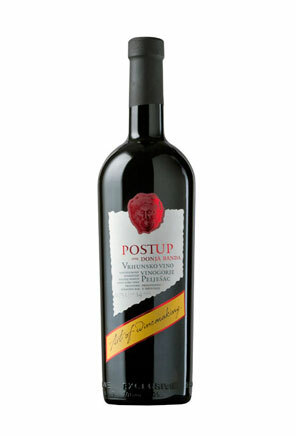 Postup is a premium dry red wine, almost opaque ruby colour with fiery reflection. It has an intensive and rich aroma of dried prune, leather, smoke, nutmeg, chocolate and bay leaf. Having at first sweet and warm flavour due to the strong alcohol, it gradually releases the whole harmony of aromas typical for the variety Plavac Mali. It is served at 18-20°C, and perfectly pairs with smoked ham, game meat dishes, roast dishes and aged cheese. 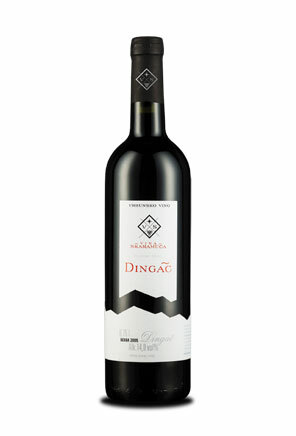 Dingac is a premium wine of deep ruby colour, crystal clear, with finely accentuated varietal aroma. A unique harmonious fullness of flavour makes this wine unique. Dingac is a typical Plavac variety with fruity characteristics and flavour that reminds of berry fruit. It is served at 18°C. Ideally pairs with red grilled spicy meat, traditional Dalmatian meals and aged cheese. 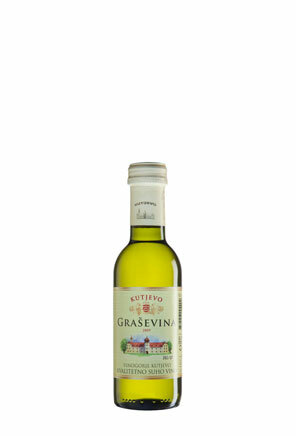 Grasevina is a wine of yellow-green crystal clear colour. 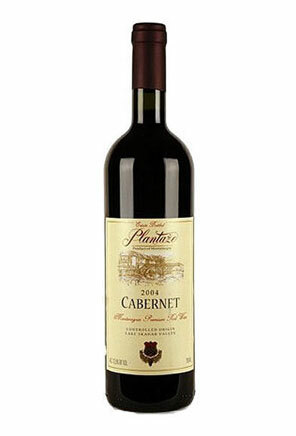 Bouquet is pleasant, floral and fruity, with harmonious and full taste. Exceptional freshness and smoothness make it the most popular Croatian wine. It is served with appetizers, pasta, white meat and white fish meals, cooled down to 8-10°C. 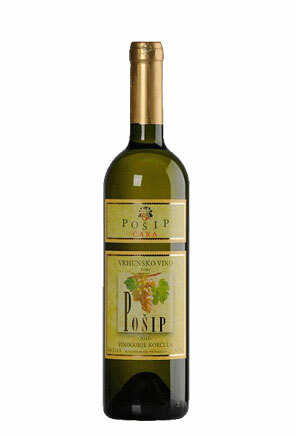 Premium wine Posip is made from the grapes grown in the most favourable areas of Cara village. The wine is gold–yellow in colour with shades of green, with sufficiently strong aroma, fine bouquet of candied orange peel and red soil, classy full-flavoured and smooth. It is served cooled down to 12°C with mussels, crabs, calamari and spicy chees. Suvo crveno vino purpurno crvene boje, sa diskretnom aromom začina, višnje, maline i suvog grožđa. Služi se na temperaturi od 16 do 18º C, uz crveno meso i polumasne sireve. Kvalitetno suvo crveno vino, rubin crvene boje. Odlikuju ga arome prezrelog grožđa, meda i karamelizovanog šumskog voća. Harmoničnog ukusa, balansirane kisjeline i alkohola. Služi se na temperaturi od 16 do 18º C, uz pileće, jagnjeće i svinjsko meso. Polu-suvo crveno vino, proizvedeno od grožđa sorte vranec. Posjeduje tamno crvenu rubin boju, a odlikuju ga arome zrelih ribizli, šljiva i začina. Slatkog je ukusa. Služi se na temperaturi od 16 do 18º C, uz sireve i sve vrste mesa. On the rocky soil of micro-locality “Miljes”, next to the river, or better to say losing river, Cijevna running from nearby Albanian mountains, this old French variety has found all that it likes: limestone, poor, rocky, permeable and warm soil. It gives the wine of light straw yellow colour. 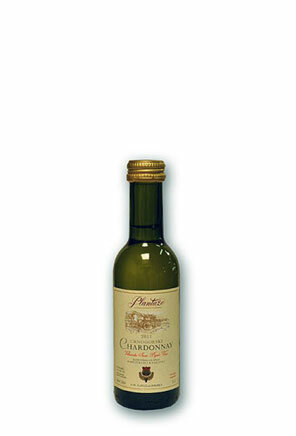 Its bouquet is typical and recognizable by fresh, fruity aromas of pineapple and green apple. Tasting the wine, some may recognize half-ripe apple, the others walnut. Podgorica’s Chardonnay, as the child of the South, belongs to the type of full bodied wines, dry, with structure and considerable alcohol content. 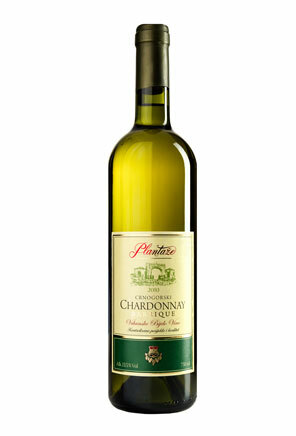 The wine has greenish colour, balanced flavour, nice aftertaste without bitterness and astringency. The grapes are vinified by using the process for white wines, while the use of selected yeasts and low fermentation temperature (14-17°C) makes the flavour and aroma of this wine remain the same. It is served at 8-10°C. It is recommended with all fish appetizers, seafood, risotto and piquant soups. Kvalitetno polu-suvo bijelo vino, kontrolisanog geografskog porijekla regiona Tikveš. Zelenkasto-žute boje, karakterističnog mirisa meda i svezih agruma, uklopljenih sa cvetnim mirisom. Prepoznatljivog slatkog ukusa. Servira se na temperaturi ood 10 do 12º C, uz ribu, morske specijalitete i pečeno svinjsko meso. Kvalitetno polu-suvo bijelo vino, kontrolisanog geografskog porijekla regiona Tikveš. Zlatno-žute boje i izraženog mirisa ljubičice, sa notama zrele mandarine i oraha. Servira se na temperaturi od 10 do 12º C, uz morske specijalitete, bijelo meso i razne vrste sireva. Banat Riesling is produced as a type of wine from the following wine varieties: Italian Riesling, Smederevka, Zupljanka and Kreaca. It is table dry white wine with protected geographic origin. 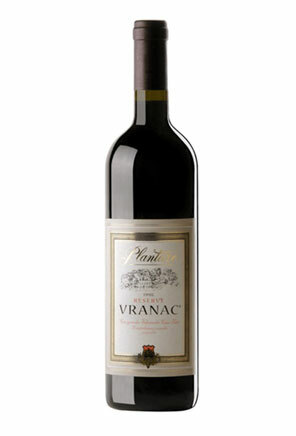 The wine with a 70-year old tradition is a specialty and pride of Vrsac vineyards. The wine is very smooth and refreshing. It should be consumed cooled down to 10-12 C. It participates in the total Serbian production of wine with the controlled and protected geographic origin with the share of 60%.